The Beast, Calvin Abueva is right on track in becoming the 2nd Rookie of the Year-Most Valuable Player in PBA. Calvin Abueva, the season’s second draft pick behind Petron Blaze’s Junmar Fajardo, is on track to making the official candidates list, being a strong runner-up in the Best Player of the Conference derbies in the Philippine Cup and in the Commissioner’s Cup. Talk n Text’s Jayson Castro and Ginebra’s LA Tenorio are already official MVP candidates for winning the BPC plums in the all-Filipino tourney and mid-season confab, respectively. Calvin Abueva and Petron’s do-it-all star Arwind Santos are both in contention on the strength of their huge numbers in the stats derby. In the unofficial tally through the semifinals of the first two conferences, Abueva and Santos were running first and second with averages of 29.716 and 28.95 statistical points, respectively. 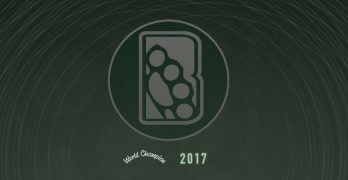 As of posting time, the PBA has yet to release the official stats. But combining the numbers released by the league through the semis of the Philippine Cup and the Commissioner’s Cup, Abueva has got past Santos, the first conference stats champ. The Alaska super rookie was runner-up to Santos in the stats race in the first conference and beat all comers in the second conference. “I’m excited of Calvin having a chance to be a rookie MVP,” said Alaska top official Joaqui Trillo of the prospect of Abueva matching the record feat of Benjie Paras in 1989. The energetic forward out of San Sebastian, however, must finish ahead of Castro and Tenorio in the stats race in the end for him to be an official MVP contender. The same goes to Santos, a perennial BPC and MVP contenders in the last few years. Right behind Abueva and Santos in the unofficial stats tally are Sol Mercado (27.81), Castro (27.346), Tenorio (26.796), Jayvee Casio (25.816), Ranidel de Ocampo (25.65), Cyrus Baguio (25.45), KG Canaleta (25.15), Marc Pingris (24.951), Joe Devance (24.42) and James Yap (24.375). Out of the list is reigning MVP Mark Caguioa who missed most of the second conference. He was the BPC race leader before going down with an injury near the halfway mark of the elims. Calvin Abueva and Tenorio finished in a virtual dead-heat but the latter emerged the runaway winner in the balloting among players, media and PBA officials. To keep his competitive edge, Abueva is seeking treatment to his knee injury in Beijing next month. He decided to push through with his China treatment, begging off from joining Smart Gilas’ Lithuanian training. Team officials said Abueva endured pain on his knee from midway of the Commissioner’s Cup elims. Barangay Ginebra San Miguel, playmaker, LA Tenorio and Alaska Aces sensational rookie Calvin Abueva leads Best Player of the Conference Award. LA Tenorio and Alaska super rookie Calvin Abueva. Who outperforms who in the first two games of the Ginebra-Alaska finale could be it with Tenorio and Abueva finishing in a dead heat in the stats race through the semifinals. They break the virtual tie through the balloting among fellow players, the media and top PBA officials. The verdict will be known before Game Three of the Alaska-Ginebra Finals Sunday at the Smart Araneta Coliseum. The Ginebra sentinel finished with the highest SP total of 480 points but the Alaska top freshman got the highest SP average of 28.5 points on the strength of a high 150 won-game bonus points. With averages of 11.7 points, 8.9 rebounds, 1.3 assists, 0.7 steals and 0.7 blocks, Calvin Abueva accumulated a total of 401 statistical points or an average of 28.5 a game. Tenorio, meanwhile, submitted 28.3 SPs a game with his norms of 13.8 points, 5.0 rebounds, 5.1 assists, 1.9 steals and 0.1 block. GlobalPort’s Gary David came in third with 26.0 an outing, followed by another Alaska player Jayvee Casio (25.4) and Talk n Text stalwart and Philippine Cup BPC winner Jayson Castro (25.2). The five stats leaders made it as the official candidates for the BPC award. The Best Import, who’s to win the Bobby Parks Trophy, could only be either Alaska’s Rob Dozier or Ginebra’s Vernon Macklin although Meralco’s Eric Dawson topped the stats race with 53.9 SPs a game. 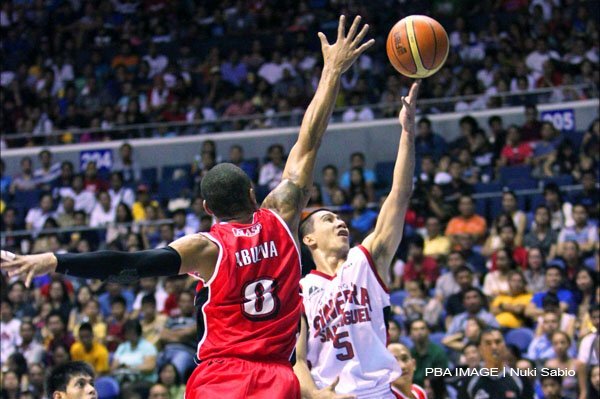 The Tenorio-Abueva duel and the Dozier-Macklin showdown are among the rich subplots of the Alaska-Ginebra finale. If ever, Tenorio will add the BPC plum to his 2010 Most Improved Player award, 2010 Mythical First Team citation, 2010 Fiesta Conference Finals co-MVP honors and the 2010 Williams Jones Cup MVP trophy. 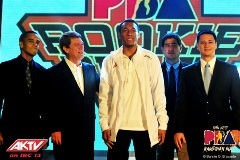 Or Calvin Abueva will become the first rookie to win a BPC award after Eric Menk and Danny Seigle in 1999. Menk was the best of the best in the 1999 Philippine Cup while Seigle was the top player in the 1999 Governors’ Cup. Seigle subsequently bagged the Rookie of the Year award. Calvin Abueva looks a cinch to win the top rookie honors this season after contending for the BPC awards in the Philippine Cup and in the Commissioner’s Cup. Through the elims, Tenorio was the stats leader (28.6) with Abueva right behind with 28.2. David was at third, followed by Air21’s KG Canaleta and Rain or Shine’s Paul Lee. The Beast, Calvin Abueva provided the spark to help the Alaska Aces get rid of 16 point deficit and take a commanding 2-1 series lead. ALASKA is on the verge of a first finals stint in the post-Tim Cone era. And their former coach can be the Aces’ stepping stone. With Calvin Abueva and RJ Jazul doing the most damage Alaska came from behind to beat San Mig Coffee and Cone, 89-82, in overtime Wednesday in their PBA Commissioner’s Cup semifinals duel before a record crowd at the Smart Araneta Coliseum. The victory was the second straight for the Aces in the best-of-five series, giving them a 2-1 lead. It can wrap the duel up on Saturday, but coach Luigi Trillo does not want to look that far ahead. Cone said his team intends to do a rebound. “We’ve been here before, we’ve handled this situation before,” he said, before adding he wished Game 4 comes around sooner. “We gotta carry this game into the next game. The sooner we can play it the better so we can carry the emotion into the next one,” said Cone. Trillo, though, has to admit the win does have its perks, and not only because it was fashioned before an all-time record of 23,108 paying fans. “What this means is it gives us the opportunity to get it in one of those two (remaining) games,” pointed out Trillo. Biggest credit goes to Calvin Abueva and Jazul for getting the Aces to within another win of making the finals for the first time since the 2010 Fiesta Conference, which it won for its last of 13 championships all under Cone. Calvin Abueva came off the bench to score a game-high 24 points on top of 10 rebounds while fellow reliever Jazul scored all of his six points to start the extension and provide Alaska the spark it needed. Denzel Bowles had 19 points and 15 rebounds and Mark Barroca and Marc Pingris each had 15 points with the latter adding 15 boards and six assists. Yet San Mig faded in the face of the Aces’ relentless charge, resulting in a blown 16-point lead and a near-loss right in the last second of regulation. After Bowles canned a charity to knot the count at 80, 4.9 seconds left, Alaska almost won it outright through an Abueva-Jazul hookup, but the point guard’s layup rattled out. No matter. San Mig seemed to be running on vapors by then as it went 1-for-5 from the field and committed two turnovers in the extra five minutes. Jazul wasted no time atoning for his last-second miss with a three-point play and a triple to start OT and, following a PJ Simon jumper that broke the Mixers’ silence, Dozier canned a charity before the Aces’ defense provided the icing. Calvin Abueva had a steal against Pingris and Cyrus Baguio blocked James Yap, resulting in an Abueva fastbreak that sealed scoring, still 36.7 seconds left. It was a bitter loss for San Mig, which dominated the game and seemed all set to redeem itself from a 67-86 blowout loss in Game 2 prior to the All-Star Week break. The Mixers actually led by 16 points twice, the last at 54-38, in the third quarter before Calvin Abueva caught fire with 11 straight points, propping Alaska’s fightback. “They did a good job in hanging around and steal it from us,” noted Cone. ALASKA 89 – Abueva 24, Baguio 13, Casio 12, Dozier 11, Thoss 11, Jazul 6, Belasco 5, Hontiveros 3, Espinas 2, Dela Cruz 2. SAN MIG COFFEE 82 – Bowles 19, Barroca 15, Pingris 15, Mallari 7, Devance 7, Yap 7, Simon 6, Najorda 2, Reavis 2, De Ocampo 2. JVee Casio and Calvin Abueva played the heroes for the Alaska Aces as they tie the series against Talk N Text Tropang Texters. JVee Casio bounced back from a poor series opener while Calvin Abueva was back in beast mode as they helped Alaska Aces secure a series-tying 100-88 win in Game Two over Talk ‘N Text Friday in the 2013 PBA Philippine Cup semifinals at the SM Mall of Asia Arena. Casio drilled five three-pointers to finish with 22 points, 16 more than his Game One output, while Abueva tallied 20 points and 14 rebounds as the Alaska Aces tied the best-of-seven series at one game apiece. Cyrus Baguio was also huge for Alaska Aces with 18 points, including 10 in the final quarter, while slotman Sonny Thoss chipped in 13. “We were able to impose our will. You can’t outscore Talk ‘N Text. We’re able to play our tempo and grind it out,” said Alaska Aces coach Luigi Trillo. ALASKA 100 – Casio 22, Abueva 20, Baguio 18, Thoss 13, Espinas 9, Jazul 7, Hontiveros 5, Baracael 2, Laure 2, Belasco 2, Reyes 0, Dela Cruz 0. TALK N’ TEXT 88 – Dillinger 26, Williams 13, Castro 12, Fonacier 10, De Ocampo 10, Peek 6, Carey 4, Alapag 4, Aban 3, Reyes 0, Alvarez 0. A huge triple-double from Calvin ‘The Beast’ Abueva paved the way for San Sebastian to get some revenge on the Mapua Cardinals, 77-62, in Season 88 action of the NCAA at the FilOil Flying V Arena in San Juan. Abueva registered 21 points, 20 rebounds and 10 assists. He also had two steals and three blocks as he led the Stags to their eleventh win to stay at solo second in the standings with an 11-3 card. The Cardinals fell to 5-9, putting their chances of making the final four in limbo. In the first half, Mapua led by as much as 14, 24-10, early in the second period, off a long distance connection from Joseph Eriobu. San Sebastian’s Dexter Maiquez was ejected from the playing court in the first half for throwing a punch at Mapua’s Andretti Stevens. Mike Parala opened up the third with a bucket the gave the Cardinals another nine-point spread, 34-25. With Mapua in the driver’s seat, 50-47, in the last two minutes of the third, San Sebastian caught fire as reigning MVP Abueva led the Stags to a 10-0 run that gave San Sebastian a seven-point edge at the end of three quarters. The Cardinals were within striking distance until the 6:36 mark of the fourth when Gab Banal buried a jumper to come to within five, 56-61. But Ian Sangalang and Abueva teamed up in the endgame, combining for 13 points down the stretch. “Nagtulungan lang kami at dumepensa para makabawi kami in the second half,” said Abueva. The 21-year-old Ian Sangalang paced the Stags with 28 markers and ten boards. San Sebastian (77) — Sangalang 28, Abueva 21, Miranda 9, Pascual 7, Juico 6, Antipuesto 3, Dela Cruz 2, Rebollos 1, Gusi 0, Vitug 0, Maiquez 0. 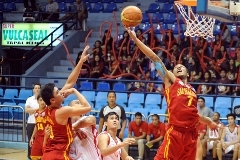 Mapua (62) — Nimes 17, Parala 14, G. Banal 12, Cantos 6, Brana 4, Eriobu 3, Ighalo 3, J. Banal 3, Saitanan 0, Stevens 0. Quarterscores: 10-18, 25-32, 57-50, 77-62. Alaska Aces will offer second overall pick Calvin Abueva the maximum deal for rookies, a three-year pact worth about P8.7-million, according to Aces general manager Joaqui Trillo. News of the planned offer comes a day after Abueva’s outburst in San Sebastian’s game Thursday against Lyceum. Abueva was ejected from the game and punched a hole through the Stags’ locker room door. While the incident would not affect his standing with Alaska Aces, Trillo warns Abueva that he needs to get that behavior under control. Aside from toning down Abueva’s intense character, Trillo is also concerned about Alaska’s clean-cut image. “He should compose himself once he starts playing in the PBA. Hindi naman puwedeng lagi na lang siya mai-eject because of the outburst. There are times na may masasamang tawag sa games, pero there’s no excuse for a player to damage property,” said Trillo. Abueva will not be able to sign the deal with Alaska Aces until after the end of the Stags’ run in the NCAA. The talented forward is expected to bolster the Alaska Aces, which suffered one of its worst campaigns in franchise history last season. San Sebastian Stags cruise past Lyceum Pirates, even with the ejection of reigning MVP, Calvin Abueva. Even with the exit of their old head coach, the San Sebastian Stags had little trouble cruising past the Lyceum Pirates, 83-75, in their second round meeting in Season 88 of the NCAA at the Filoil Flying V Arena. The game was dominated by the Stags from the kickoff, with San Sebastian holding on to a fifteen-point spread at the half. In the early goings of the third, with the Stags leading the Pirates, 51-40, a 7-0 swing from Shane Ko, Joggy Laude and Chris Cayabyab’s triple made it a four-point game, 47-51 with over six minutes left in the quarter. 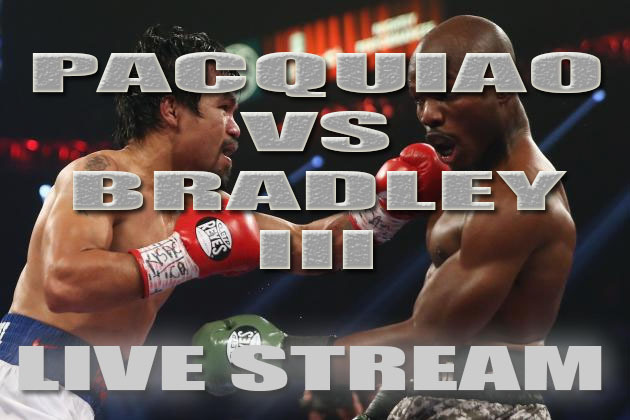 Then the mini fracas resulting in the untimely ejection of Calvin Abueva late in the third period happened. In a rebound play against Joggy Laude, Abueva challenged Laude for the loose ball. The two cagers fell on the floor, with Abueva hitting the floor first before Laude. 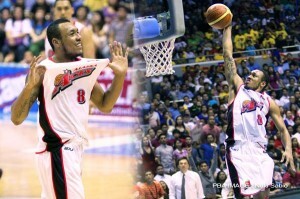 In order to remove Laude, Abueva pushed Laude with closed fists. This prompted the officials to mediate and separate the players. The NCAA’s reigning Most Valuable Player was sent to the showers, where he punched his team’s locker room’s door, damaging it. But the momentum did not stay at Lyceum’s side for long. The Stags, behind Ian Sangalang and Jovit Dela Cruz ignited a 12-4 run that halted LPU’s premature celebration. The Stags continued to run over the Pirates in the fourth. “Di ko sinasabing blessing yung nangyari kay Calvin pero alam mo yung intensity ng mga bata, mas lalong di napigilan,” said interim coach Allan Trinidad. Sangalang was a consistent bright spot for the Stags after scattering 20 points alongside seventeen rebounds. With the ejection, Calvin Abueva is now disqualified from the MVP race as he will be serving a one-game ban on their next game which is against Arellano University on Aug 30. He will also be disqualified in the Mythical selection process. Shane Ko made up for his lackluster performance in their 77-47 loss to San Beda but his 23-point eruption was not enough to snap Lyceum’s losing streak. San Sebastian (83) — Sangalang 20, Abueva 16, Miranda 12, Dela Cruz 9, Antipuesto 8, Rebollos 5, Juico 4, Balucanag 4, Maiquez 3, Pascual 2, Binuya 0, Vitug 0. Lyceum (75) — Ko 23, Mallari 15, Cayabyab 11, Laude 10, Guevarra 6, Garcia 4, Francisco 4, Alanes 2, Ambohot 0, Azores 0, Mendoza 0, Martinez 0, Edding 0. Quarterscores: 22-13, 48-33, 72-53, 83-75. At first glance, Calvin Abueva and Alaska Aces are not exactly made for each other. Abueva is a whirling dervish on the court, thriving on the chaos and confusion of the open court. He puts up beastly numbers in the NCAA, averaging 19.3 points, 16.5 rebounds, and 6.6 assists over 10 games so far in Season 88. But there’s a price to pay for all that production. Abueva can be, at his worst, careless, erratic, and out of control; he averages 5.4 turnovers a game in this year’s NCAA tournament. Alaska Aces, on the other hand, is known for its deliberate style of play. While the team features fastbreaking spitfires like Cyrus Baguio and Bonbon Custodio, the Aces would rather have LA Tenorio controlling the tempo in the halfcourt to create open looks for big men Sonny Thoss and Gabby Espinas. Despite the seeming mismatch, in the end Alaska Aces could not pass up on someone with Abueva’s star potential. It was a decision that drew praise from other PBA coaches, including Tim Cone, who called the shots for the Aces for 22 years before transferring to B-MEG prior to last season. Trillo said he expects Alaska Aces to make adjustments to accomodate Abueva. “I know he’s a talented player, particularly in the open court. Maybe we could give him freedom at times and play in his comfort zone,” said the elder Trillo. Abueva, who is still currently playing with the Stags in the NCAA, cannot join the Alaska Aces until after the college tournament is over. Curiously, Abueva’s erstwhile college coach Topex Robinson resigned from the San Sebastian head coaching post to concentrate on Alaska. After beating the Letran Knights , the San Sebastian Stags will advance to the NCAA Finals! Awaiting them is the formidable San Beda Red Lions. The epic Finals rematch starts on Monday at 4 p.m. at the Araneta Coliseum. The Stags upsets the Knights as they pulled off a 63-56 win in their knockout series. The Big Three, Calvin Abueva, Ian Sangalang and Ronald Pascual came up big in clutch time. Ronald Pascual scored on a hook shot, then Ian Sangalang followed with a putback and Calvin Abueva soared for a tip-in for a 61-55 count with less than left in the match. NCAA MVP candidate Calvin Abueva lead the way for the Stags scoring 20 points and grabbing 18 rebounds. Ian Sangalang added 15 points and 12 boards, while Ronald Pascual finished with 11 points shooting 50% from beyond the arc and grabbed 7 rebounds.